Metro Morning's food guide Suresh Doss visits downtown mainstay Yueh Tung Restaurant, known for its chili chicken — the "perfect conflation of two cuisines." Yueh Tung Restaurant is at 126 Elizabeth St. I was first introduced to Hakka cuisine in the early 1980s in Colombo, Sri Lanka. And again, after we moved to Scarborough in 1990. Scarborough was — and continues to be — home for a large Diaspora of Hakka people, and there are restaurants everywhere. Every week, we would visit a different spot for plates of chili chicken and rice, and fung mee mien: thick noodles wok-fried with vegetables and slices of pork. The Hakka people have a long history of migration and are believed to have originated from Northern China's Yellow River. Over centuries and numerous migrations, the Hakka people spread throughout Southeast Asia, particularly in Malaysia, Indonesia and Singapore. A large population also migrated to India's West Bengal state in the 18th century, largely due to Kolkata being a metropolitan city that was easily accessible by land. Over time, the Hakka community ballooned in size in nearby areas like Tangra. A large portion of the Greater Toronto Area's Hakka community hail from Kolkata, leaving due to civil unrest caused by India's independence and the India-China war in the 1960s. That is where Michael Liu and Mei Wang-Liu — the owners of Yueh Tung Restaurant in downtown Toronto — met. Both their families had moved from Guangdong to Kolkata in the 1940s, settling in the region's Chinatown. "They were childhood friends before becoming a couple," Jeanette, one of the Liu's five children recalls. Mei and Michael grew up witnessing the amalgamation of two cuisines: the subtle and delicate cooking of China mixed with the fire and heat of India. "It was everywhere. 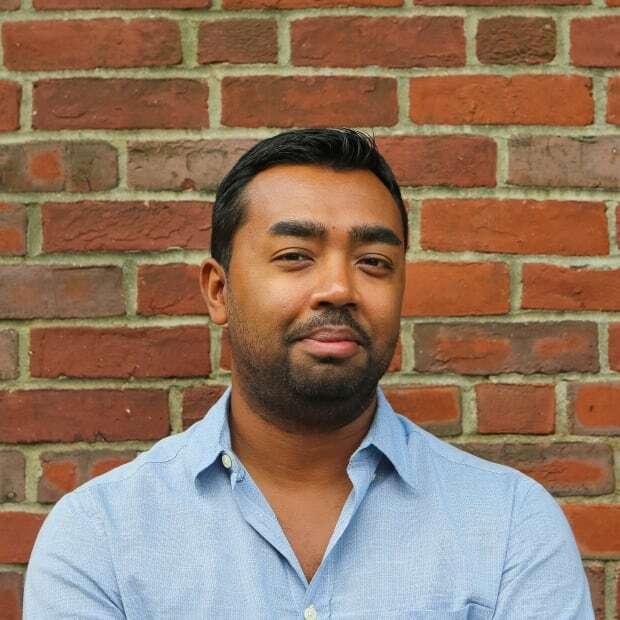 The food was mixing a lot," Michael said to me on the ubiquity of Hakka Indian cuisine in Kolkata. Soon it became a part of their culture. Following civil unrest, the Lius along with their two eldest daughters, moved to Toronto in 1976. Back then, Toronto's Chinatown had a different address: Elizabeth Street. For new families, the area was the original stomping ground. The Lius were approached by a restaurant owner who wanted to sell his Dundas Street Chinese restaurant Yueh Tung. Coincidentally, Yueh Tung is the name of a Hakka fishing village in Guangdong, but the restaurant didn't serve any Hakka food. The Lius were hesitant at first, knowing nothing about running a restaurant, but Mei eventually accepted. 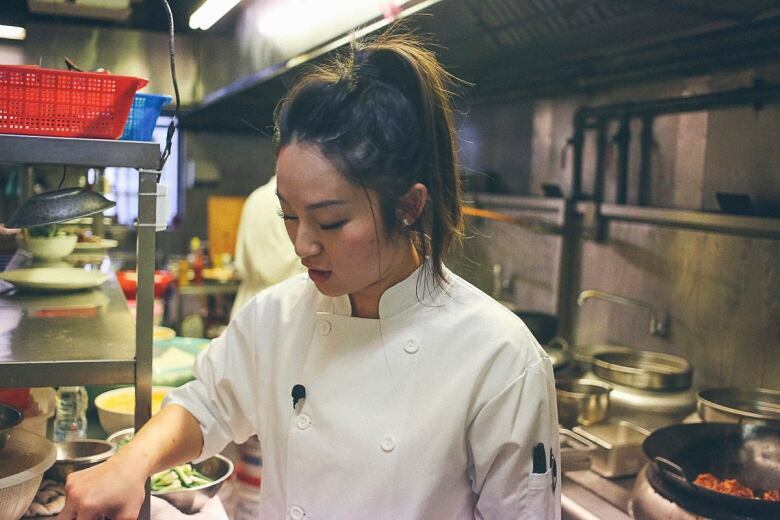 "I saw it as a way to preserve our culture and introduce Toronto to Hakka food. No one was serving good quality Hakka food," she said. Mei and Michael took the reins in 1987 and changed the menu to reflect their Hakka heritage. Chinatown moved west shortly after the new City Hall was built, forcing many of the businesses to close or re-locate. The Lius are one of the few owners that have managed to stand the test of time. They moved the restaurant twice, but managed to stay within a stone's throw of the original location. 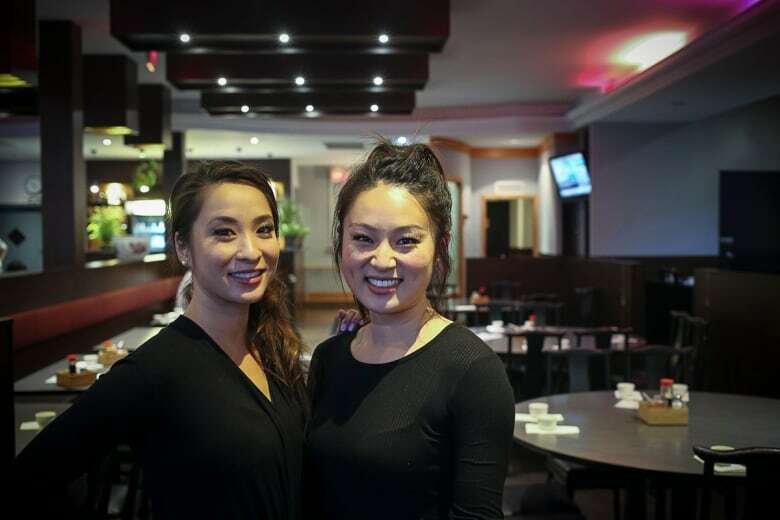 Jeanette and her older sister, Joanna, grew up in the restaurant industry. "I spent a lot of time here, and I have many fond memories of loyal customers and experiencing what my parents have done for the local community," Joanna said. Though Jeanette and Joanna sought to work outside of the food industry, they were soon lured back when their parents were contemplating retirement. "We didn't want our parents' legacy to die," Joanna said. "Our family has a story of migration and they have built a local community with our Hakka Indian food. This is our parents' and grandparents' cuisine." She left her job in marketing a few years ago and enrolled in culinary school. Today, she's the chef in the kitchen while Jeanette manages the dining room. "We're mimicking our parents. My dad was the chef and my mom managed the room," Jeanette says. Jeanette and Joanne's story is quickly becoming common in downtown Toronto. There are countless first-generation mom and pop restaurants that have been operating for decades. The parents running these establishments are nearing retirement, and their kids have come of age and are deciding whether they want to continue running a family business or pursue a career elsewhere. This shift is already taking place. Restaurants in neighbourhoods like Chinatown are either closing or being re-shaped into something a little modern or hipster. While Joanna and Jeanette are eager to take their Hakka cuisine in a new direction, what is most important to them is the preservation of this unique culture. Their Hakka food speaks to a specific time and place and it is the marriage of three cultures: Chinese, Indian and Canadian. 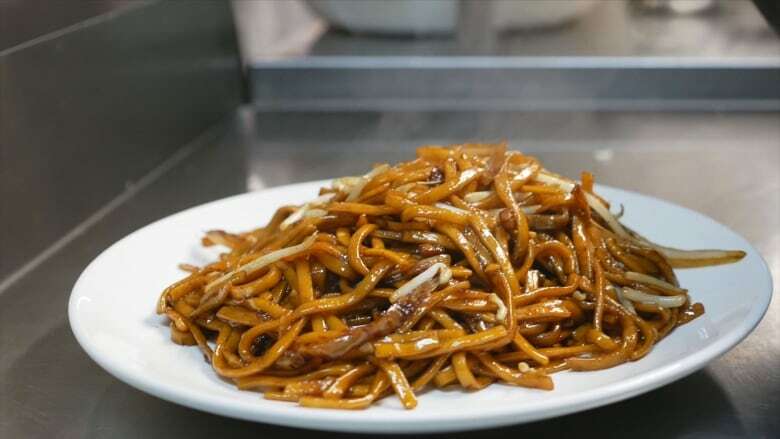 "Hakka food in Toronto is synonymous with Hakka Indian but really, there are many subsects of Hakka food, Jeanette said to me. "What my parents wanted to do with Yueh Tung is present the Kolkata-style Indian Chinese Hakka food. With the many migrations of the Hakka people, we picked up many aspects of local cuisine, and we mixed it with our own." "I think our chili chicken is the best example of our journey," Joanna said. Chili chicken is a hugely popular Indo-Chinese dish that originated in Kolkata. It is a mix of fried chicken with spices and sauce served over a bed of rice. It has elements of Chinese and Indian cuisine — soy and sweeter flavours mixed with sometimes a precipitous amount of spice. But the Lius's version is different from what you'll find in the West Bengal state. When I moved downtown, I found it challenging to find a good Hakka spot without having to drive uptown. This is how I stumbled upon Yueh Tung. It was introduced to me by a friend of mine about 15 years ago after a debate about where to get the best plate of chili chicken. Joanna's recipe is the same chili chicken her father Michael has been serving for over three decades to much veneration. The same chili chicken that on Google you'll come across message boards where people have tried to decode the recipe. 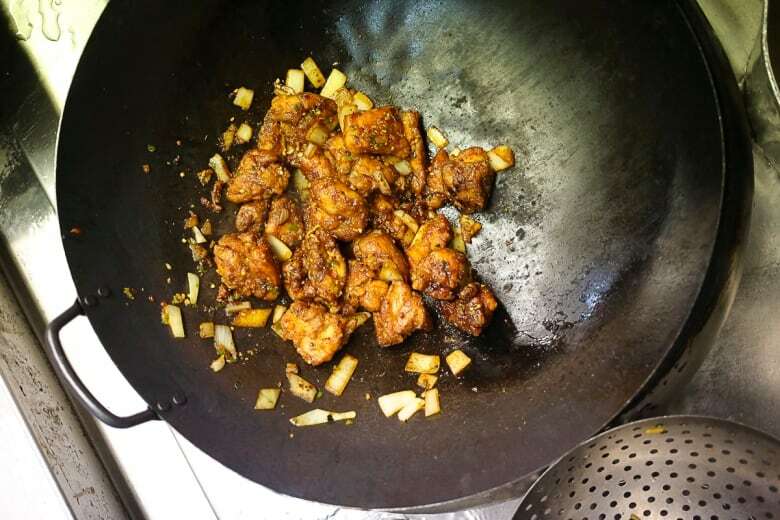 Joanna fries pieces of de-boned chicken and tosses them in a high-heat wok with garlic, onions, chili, a light soy sauce and a secret house blend of spices. Tossing the chicken in the wok gives the dish "wok hei," a smoky note that is imparted from searing each piece. Yueh Tung serves the signature dish sauced or dry. For many years, I preferred the sauced version. A sauce with all of the ingredients is poured over the fried chicken but the flavours don't really seep through. The dry version is more fragrant and expressive of the spice and wok hei notes. The chicken has a crunchy, umami-like exterior with a moist interior that sings of chili and garlic. Since moving to the St. Lawrence Market neighbourhood, Yueh Tung has become my go-to when I am craving Indian-Chinese Hakka food. It is one of the most consistent establishments for Hakka cuisine. Over the years, many restaurants have tried to replicate Yueh Tung's dish, but few have come close to producing a dish that is a simple yet perfect conflation of two cuisines.